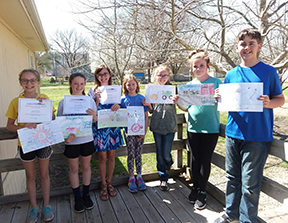 We really appreciate your effort to have so many students participate in the 2019 Wabaunsee County Farm Bureau Safely Poster Contest. The students had some very creative ideas and great art work! Even if a young person visits a farm once, safety is so important. Honorable mention (no award) but the judges were impressed with their messages and/or art work.